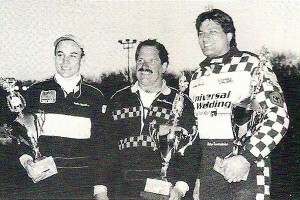 In the late 1990’s, Speedbowl owner/operator Terry Eames, Race Director Tony Leckey and PR Director Pete Zanardi came up with what they envisioned as the biggest SK Modified event in the Northeast. Unlike any SK Modified event before, it consisted of time-trial qualifying & an unprecedented distance of 200 laps broken up into (2) 100 lap segments with a mandatory pit-stop in between. Up for grabs was a huge purse with the winner’s share at $5,000. The result was a new season-opening event called the Pennzoil Modified Nationals. Steve Chowansky was the inaugural event winner. 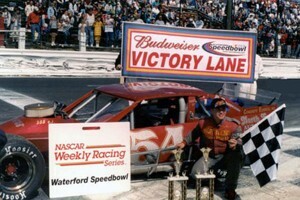 It’s his only career feature win at the Speedbowl. Tucker Reynolds Jr, who finished 3rd, set fast time in the 1997 event with a highly controversial lap time. His 13.965 second lap was timed before the advent of transponders and the accuracy of that lap time was heavily debated from the moment it was scored. Despite the controversy, the fast time was deemed official by track management and Tucker Reynolds was awarded the Pole Award for this event, therefore he's listed in our Lap Records section. 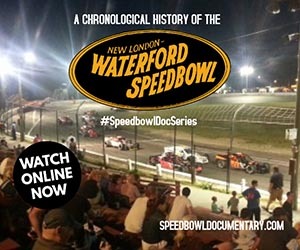 It is worth mentioning however, that Keith Rocco's fast time of 14.056 from the 2012 Speedbowl.com 300 event, the quickest SK time trial since the implementation of electronic scoring in 2004, is more commonly acknowledged today as the current SK Time Trial record. 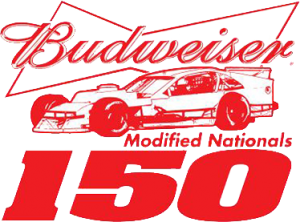 The Bud Nationals event went through some changes in the early years, most notably being reduced to a 150 lap event in 2001, a year after the event was halted just after the halfway mark (lap 101) due to rain. Mark LaJeunesse was declared the winner. In 2002, Eric Berndt won his 2nd straight SK 150 and with contingency sponsor money, took home over $8,000 for the victory. 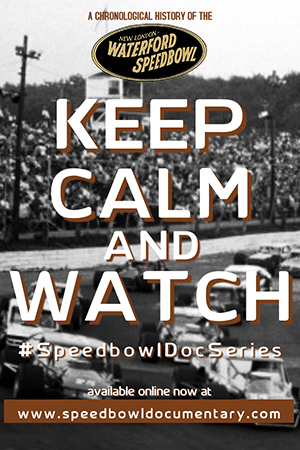 It remains the highest winner's total purse for any SK Modified event in Speedbowl history. 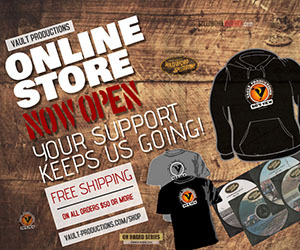 In the mid 2000’s, the SK 150 became a real home team vs. outsiders show, with winners coming from each side. 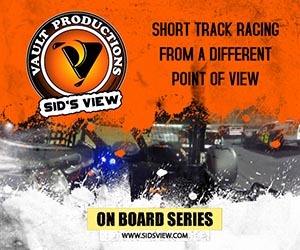 Outsiders who won the event included Ted Christopher, James Civali and Frank Ruocco while Speedbowl regulars like Tom Fox, Dennis Gada and Jeff Pearl have also won the $5,000 prize. One of the more exciting BMN 150’s came in 2007. The field lined up for the last restart with 3 laps to go. The front row consisted of 2005 SK Champion Robbie Summers, who had led most of the event, on the inside with 1998 SK Champion Jeff Pearl on the outside. Pearl got a great restart and was able to edge ahead of Summers in turn two. Once he cleared Summers on the next lap, he held off a hard-charging Matt Hirschman on the last lap to take the win in dramatic fashion. It was the longest distanced race win in Pearl's career and added to his reputation as an excellent restarter at Waterford. 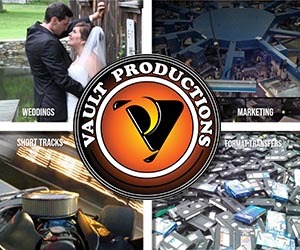 Watch our video short to the right to see the exciting finish. Todd Ceravolo was the story for back to back Mod National events in 2011-2012, although not the official winner of either event. In 2011, he passed his soon-to-be son-in-law Keith Rocco early in the event and looked unbeatable until a caution with less than 15 laps left. During the caution laps, Ceravolo suddenly stalled and had to be pushed to the pits because he ran out of fuel. Outsider Woody Pitkat inherited the lead and led the rest of the way for his first career Speedbowl win. Ceravolo rallied back to finish 5th. The following season, the event was postponed after 9 laps due to rain. 2 weeks later for the conclusion, Ceravolo jumped in Keith Rocco's #88 to finish the race. Rocco had been suspended by track officials the previous week and was ineligible to continue. Todd came through the field to take the victory in the car, with Keith earning points & purse as the official driver of record. Below is the complete list of Pole Award and Feature Winners for every Modified Nationals event. Dennis Gada (1999, 2001) was the only person to set fast time twice during the time-trial era. No Pole Award winner during the time-trial era went on to win the feature event. 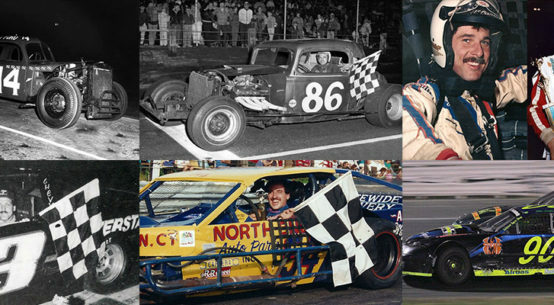 Eric Berndt, Dennis Gada, Ron Yuhas Jr & Keith Rocco are the only multi-time BMN winners – each winning twice. At 22 years old in 2001, Eric Berndt was the youngest BMN winner. The Mod Nationals event was the the only career victory at Waterford for Steve Chowansky (1997) and Frank Ruocco (2006).